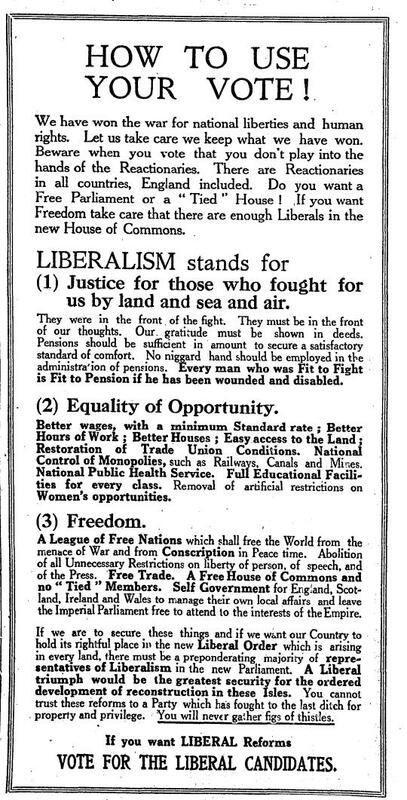 This is an ad for the Liberal Party going into the 1918 General Election. Note that the Liberal Party split during the First World War with some following Lloyd George and others continuing to follow Asquith. This ad is for the Asquith Liberals. Also note this is not an ideological division; Lloyd George’s Coalition Liberals are standing on much the same platform. Also, also note that the statist rot set in well before the First World War. In December 1918, this Liberal Party was more or less wiped out with Asquith losing his seat. In subsequent elections the general Liberal vote collapsed even further until by the 1950s the by-then re-unified party had only a handful of MPs. Public Eye was made from 1965 to 1975 and contains adult themes, outdated attitudes and language which some viewers may find offensive. – Warning message put up by Talking Pictures TV prior to its re-runs of the series. For those unfamiliar with Public Eye, think Colombo meets The Rockford Files in the English suburbs. Could it really be that the Maginot Line was a good idea? I was always taught that the Maginot Line was a military white elephant – colossally expensive and easily by-passed. But this guy begs to differ – kinda sorta. Short version: it would have worked if it hadn’t been for those flibbertygibbet Belgians! Even so he doesn’t address the question of how Germany would have been brought to heel by means of an entirely defensive strategy. I love this sort of challenge to the narrative and I understand that Samizdata’s own Bertrand Maginot will be joining me. For once. I know all of us on this side of the Atlantic are terribly excited about the latest Brexit/leadership crisis but – unbelievable as it may sound – there are even bigger fish to fry. A stock market crash is looming. Yes, I know I have said that every year since the 2008 financial crisis but this time it really, really, really might actually happen. In this presentation – which sadly includes a little bit of advertising – Jesse Colombo outlines why he thinks a crash is imminent. 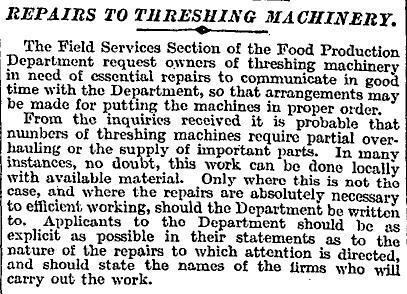 The Times 12 November 1918 p10. 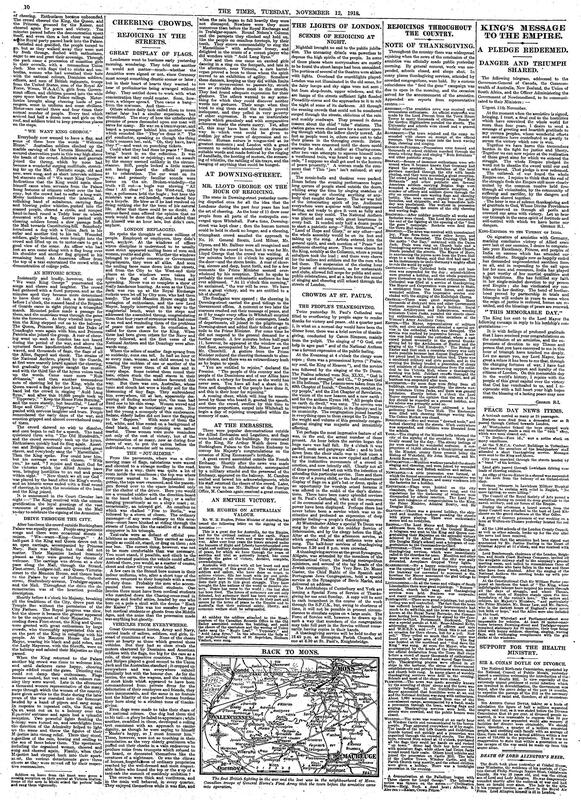 Right click for full page. Of course, officially speaking there was never a First Battle of Passchendaele but most of us are aware that in 1917 in the space of 3 months at the cost of 80,000 dead the British advanced from just outside Ypres to Passchendaele Ridge. In September 1918, they – along with the Belgians(!) – did it in a day. A day. A couple of months ago I wrote about the Battle of Amiens. I still find it astonishing. And I find this astonishing too. Because it is so difficult to explain. The British army had been battered in the Ludendorff Offensive. It had been clinging on. It had lost huge numbers of men. The sense of panic went right up to the top. And yet, when it went on the offensive itself it found it was seemingly pushing at an open door. Second Passchendaele – as I choose to call it – wasn’t even the biggest victory that week. Sure, the British Army had got a lot better at attacking. There is a clear line of progression from 1916 to 1917 and one must assume that that continued in 1918. But there is nothing to suggest this amazing series of victories. I imagine that German morale must have suffered a catastrophic collapse. But even that doesn’t make sense. More Britons died in the Hundred Days Offensive than at First Passchendaele. The Germans might have been down but they weren’t out. At least not yet. 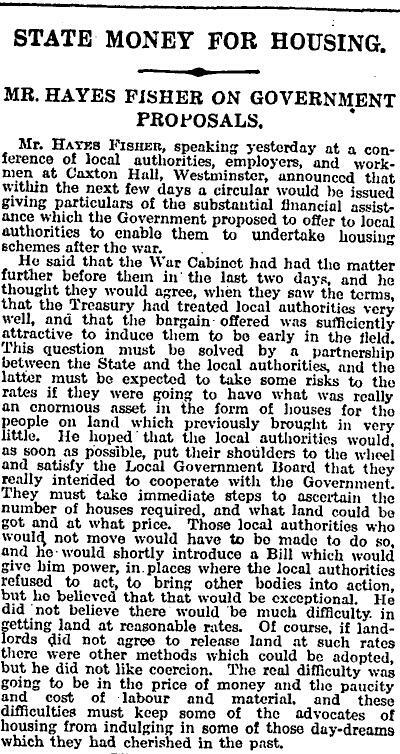 The Times 30 September 1918. Right click for the full page. On 8 August 1918 in Northern France, a mainly British force attacked on a 15 mile front and advanced to a depth of 7 miles. In so doing it inflicted 70,000 casualties on the Germans capturing 500 guns while suffering 44,000 casualties of its own. The Battle of Amiens as it became known, was the first clearly-successful, large-scale, Allied offensive operation on the Western Front. Ludendorff, the German commander, famously called it the “Black day of the German army”. But then again he was always a bit of a flibbertygibbet. 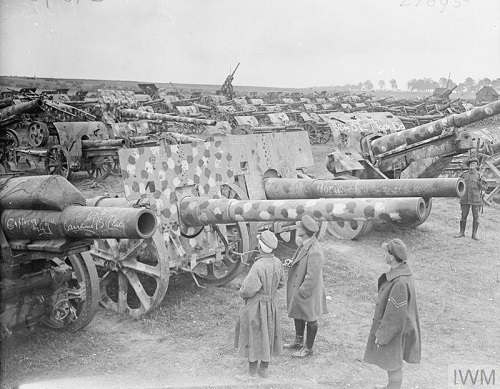 Although no one knew it at the time the Battle of Amiens heralded the beginning of the Hundred Days Offensive in which Allied success followed Allied success. By November the Germans realised that the game was up and sued for peace. Amiens did not take place in a vacuum. 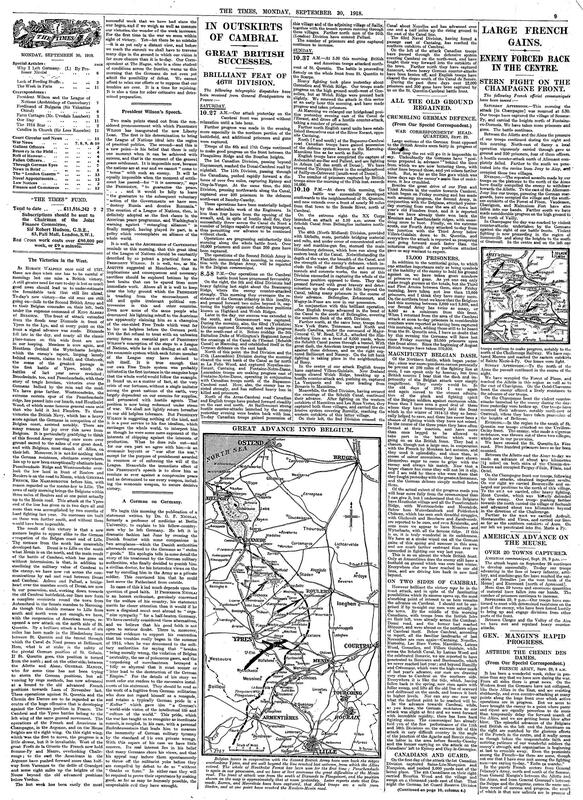 At the Second Battle of the Marne which took place a few weeks earlier the Germans had attacked and the French and Americans had successfully counter-attacked. This brought to an end German hopes of a quick victory. 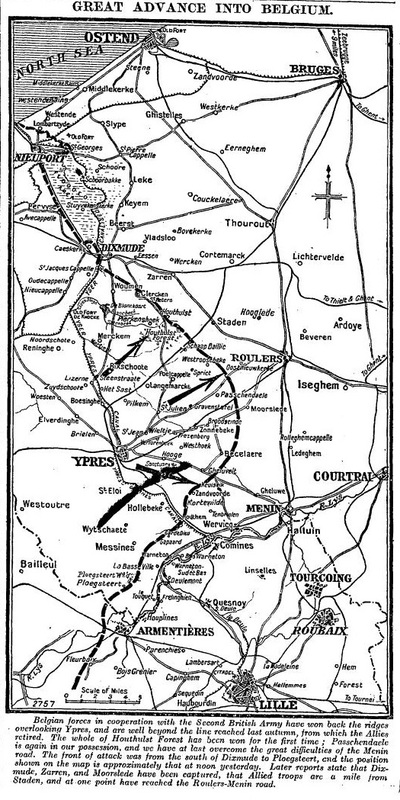 By this stage the Germans had been on the offensive since March. While they had taken plenty of territory they had failed to deliver a knockout blow. To achieve even this they had had to put everything on the line: men, material and, crucially, morale. Meanwhile, back in Germany the population was starving and Spanish influenza was killing thousands. So was Amiens the consequence of German weakness? 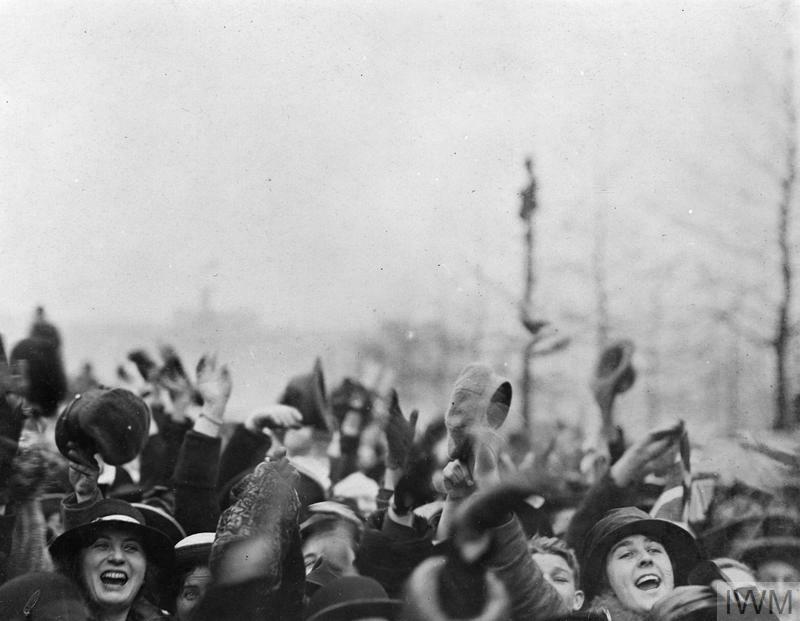 It certainly played a part and the propensity of German soldiers to surrender – that morale thing – was unprecedented. However, all the casualty figures I have seen from the Ludendorff Offensive indicate that the numbers were pretty even with any advantage there was going to the Germans. One thing it wasn’t was the Americans. They weren’t at Amiens. Indeed it is debatable as to whether they were ever very effective offensively. That is not to denigrate American efforts, it is merely to point out that success on the Western Front required skill and experience which the Americans never had the time to acquire. The missing piece in the jigsaw is British tactics. At Amiens they used tanks, gas, smoke, creeping barrages, predicted barrages, new infantry tactics and airborne resupply. The predicted barrage was particularly important because it managed to introduce an element of surprise to the battlefield. Some claim that a lot of British success in 1918 was down to its embracing wireless radios. Others to the 106 fuze. Others to investing heavily in motor lorries. That last one might sound mundane but in war logistics matter. Even Haig had learnt. Normally he would have ordered his men to press on but when Foch – by this time his nominal commander – urged Haig to do precisely that, Haig said “no”. He had learnt that Western Front battles were a case of diminishing returns. Better to close down this battle and start another one somewhere else – something that his lorries would now allow him to do. So why have so few heard of Amiens? Why doesn’t it occupy a similar position to Agincourt, Waterloo and El Alamein? Quite simply because it doesn’t fit the narrative. The lazy story we’ve all heard a million times tells us that the Western Front was all about incompetent generals and stalemate. Amiens and the Hundred Days Offensive show this to be nonsense. A more accurate narrative might be that winning on the Western Front was never going to be easy but they got there in the end. The story that I and most people here are familiar with is that in the 1840s Britain abolished the Corn Laws, became the pioneer in free trade and that this was a good thing. John Nye begs to differ. In this Econtalk podcast (from, ahem, 10 years ago) he makes two points. Firstly, British tariffs were falling throughout the 19th Century and that the abolition of the Corn Laws was not particularly significant in that process. Secondly, French tariffs were by-and-large lower than those in Britain. But surely Britain was much richer than France at this time? Yes it was, and according to Nye that was mainly due to it having fewer taxes and regulations. France even had internal tariffs as Samizdata’s own Antoine Clarke once pointed out. So much as I don’t think Trump’s trade war is a good idea it is possible that it may not be as bad as all that. So, what do we think about Syria? Was there a chemical attack? If so, who was the perpetrator? More to the point, do we care? Yes, I know there is a treaty and all that but is chemicalling someone so much worse than shooting them? And is it worth fighting a war over? I love that phrase in the linked article about not liking coercion. I also note that no attempt is made to explain why state provision would be better than the private-sector alternative. It is simply assumed. Many will know that Ernest Benn was Tony Benn’s uncle. Many will also know that he was one of the founders of the Society of Individual Freedom. The Society of Individual Freedom spawned a youth wing which came to be known as the Libertarian Alliance and the Libertarian Alliance to a large extent was responsible for Samizdata. As it happens Benn was, at this time, in his statist phase. He would soon learn. Hence in history there appear periods in which the division of labour is extended and others in which it regresses: “More menacing than the barbarians storming the walls from without are the seeming citizens within – those who are citizens in gesture, but not in thought.” – Hayek too excoriates those “non-domesticated barbarians in our midst” who “refuse to accept” the “acquired discipline” of a world-wide division of labour while “they still claim all its benefits”. – Sudha Shenoy, Towards a Theoretical Framework for British and International Economic History: Early modern England, a case study, p283. Don’t be confused by the title – not a dicky bird so far about post-Black Death cesspit management – this is an overview of Austrian economics. And a rather good one at that.